High Mowing School is a coeducational private alternative boarding special program emphasis school for students in grades 9 through 12. "Established in 1942, High Mowing is the oldest Waldorf high school in North America and the only one to offer a boarding program. The school couples challenging academics with arts, music and theater. While students come to High Mowing from Waldorf schools all over the world, one does not have to have former Waldorf school experience. 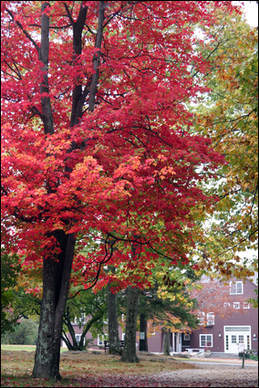 About 40% of the students at High Mowing are new to Waldorf education." 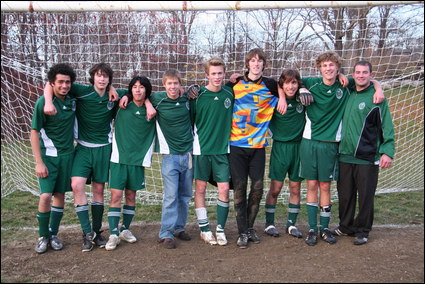 High Mowing is the oldest Waldorf high school in North America and the only one to offer a boarding program. In 1942, Mrs. Beulah Emmet, inspired by the work and thought of Rudolf Steiner, converted her family country home into a Waldorf high school. The old and charming hilltop farm ideally suited the warm, home-like atmosphere she sought for her students, and it even suggested the schools name (mowing is an old New England term for "hayfield"). 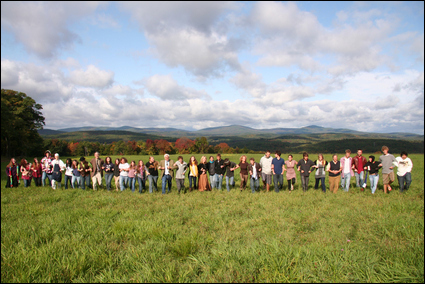 Since that time, High Mowing has offered teenagers the unique combination of Waldorf education and community living (9th to 12th Grade).In the 1970s, the school formed a partnership with Pine Hill Waldorf School (an elementary Waldorf school now located just across the road) to offer a complete K-12 Waldorf program in Wilton, New Hampshire. High Mowing School's relatively even enrollment profile may offer insights into student retention rates, local population changes, real estate costs, and the accessibility of alternative educational options. to find out more about the specific factors influencing High Mowing School's enrollment numbers. Want more info about High Mowing School? Get free advice from education experts and Noodle community members.